The discussion in this paper will be based on the organizational culture. It has been seen that organizational culture is important to be maintained as it affects the overall behavior of the individual. There are values and beliefs which are important to be considered so that it can be easy to achieve success in the high level of competition. It is necessary for the company to maintain its culture as it can give positive impact on the marketing management. Organizational culture is known as one of the essential factor that can help to focus on maintaining the relations with the employees. It also influences the workers and the people who have the link with the organization. Organizational culture affects the working structure of the company and can also affect the overall growth of the company. It has been seen that culture of the company should be maintained so that it can be easy to maintain positive culture in the workplace. This paper will take into consideration the overall analysis of the organizational culture in which the analysis will be made of the article related to organizational culture. In this report, the article which is selected from the given article is “Coming to a new awareness of organizational culture”. In the first phase discussion will be made on the basis of this article and then 2 articles will be selected which are related to organizational culture. It is important to take into consideration the overall analysis of the organizational culture as it can help to achieve goals and objectives in an effective manner. It has been seen that the company can achieve success in the competitive market when the culture of the company is positive. So, in this paper the entire discussion will relate to the organizational culture. In the article given by Schein, (1984), it has been stated that organizational culture is essential as it helps to focus on controlling the management operations. This article is mainly related with the entire concept of organizational culture and also due to this there are drastic changes which take place in the workplace. According to this article it can be defined that organizational culture focuses on the basic assumptions which is developed so that it can be simple to resolve the issues which are related to internal integration and external adaption. It has been seen that organizational culture keeps on changing from time to time. By considering the views of researchers it has been seen that culture is related with the practices of the company that can assist the individuals to focus on the business environment. In this article, it has been seen that organizational culture is related with various factors like formal organizations and cultural paradigms and also the article emphasizes on the overall external adaption and integration of the culture. There are various cultural paradigms and also there are various concepts which will be discussed in relation to the culture of the company. External adaption and culture integration is also the part of the article. Organizational culture is known as the dynamic model in which there are many stages in context to the company. It is important to have proper code of conduct and also policies so that it can be easy to achieve the competitive advantage. It is necessary for the company to focus on maintaining the overall human resource of the company so that positive outcome can be attained. Also the cultural paradigm emphasizes on the assumption and proper pattern. This article takes into consideration various aspects related to the culture of the company. It can also help to create awareness in relation to the methods of the organizational culture. In this article it can be investigated that there is a connection with the entire culture of the organization and the analysis of the financial capacity of the organization. Good culture in the company is important as it helps to manage the overall behavior of the employees towards the activities. If employees of the company are giving best towards the activities of the company then it can help to bring uniformity in the workers behavior. It is important to maintain the overall culture of the company and also there are various norms which are related to the employees. By focusing on the external environment it can be stated that performance of the employees in the financial basis can be improved. For instance: the operations of the retail sector are customer oriented and it also emphasizes on the manufacturing units (Chatman, Caldwell, O'Reilly & Doerr, 2014). So, it is important to focus on the norms that can impact the performance level of organization. According to this article, the focus is given on charisma leader who try to maintain the overall effectiveness of the company. The leaders who are charismatic influence the workers as they are having good appealing vision. The leaders who are charisma have a great influence on the organizational performance. They try to maintain the overall activities so that it can be simple to attain goals. To maintain the performance it is important for the leaders to focus on the overall activities of the company. The results which are attained focuses on the charismatic leadership and management. It has been seen that companies’ culture can help to maintain the performance of the organization so that it can be simple to achieve the desired targets. Performance management should be there so that profits can be earned by the company in the high level of competitive business world (Wilderom, van den Berg & Wiersma, 2012). Culture of the organization is important as it can maintain the overall performance of the workers. It has been seen that culture of the workplace focuses on various factors which emphasizes on the factors related to engagement of the employees and also with the level of motivation in the workplace. By having proper insights on the article mentioned it is evaluated that there are researchers who have different views in relation to the organizational culture. By having proper analysis of these articles it can be stated that organizational culture is important part on which the managers should focus so that it can be easy to manage the entire activities of the company. It is important for the employees to ensure that commitment towards the activities can be maintained which will help to consider overall targets set by the company. By doing proper analysis of the article named as coming to new awareness of the organizational culture it has been seen that there are investigators who emphasize on the entire activities of the company. The article also stated that the structure of the company which is internal or external can affect the overall level of working. 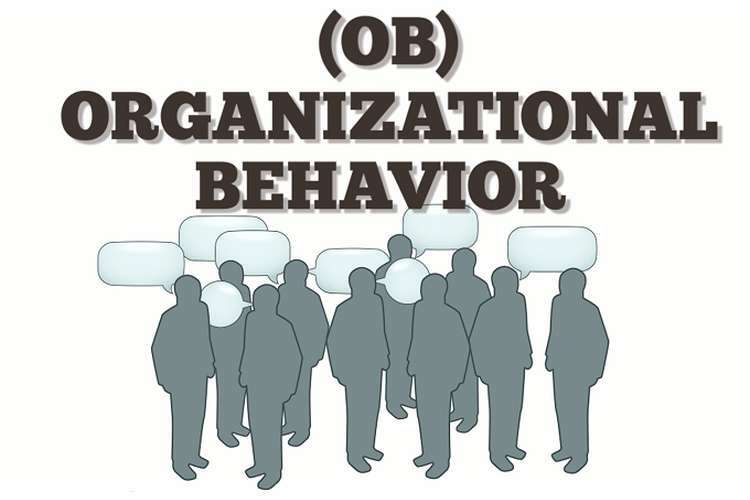 The next article which is related to Parsing organizational culture stated the concept of the norms so that it can be simple to maintain the performance and also the relationship of the employees in the technological companies. In this article the focus is given to maintain the culture so that it can be simple to maintain the entire performance of the company. It is essential to focus on the norms of the company so that it can be simple to take into consideration the entire changes which relates to the employee behavior who are managing the entire activities of the company. If there are specified norms in the workplace then it can be simple to create good organizational culture which can emphasize on maintaining the overall performance of the individual. It has been seen that there are various norms of the company which should be followed so that it can be simple to maintain the overall culture of the workplace. The duty of the leader is to focus on maintaining the culture so that it can be easy to motivate the employees. So, it can be stated that culture of the company should be maintained and also proper leadership should be there so that it can be simple to focus on managing the entire activities according to the set targets. It is necessary for the company to maintain the standards so that employees can also be motivated towards the activities of the company. The last article is related to the charismatic leadership and organizational culture in which the description is made of the charisma leaders. In this it has been seen that it is essential for the top management or the leaders to emphasize on the performance of the employees so that it can be easy to manage the entire activities of the company. If charisma leaders are involved in the overall activities of the company then it has been seen that corporate performance can be maintained of the employees in the workplace. If there are charisma leaders in the workplace it is necessary to maintain proper culture so that it can be easy to attain the entire goals. So, it is necessary for the employees to maintain the overall performance. This article also relates to the culture and performance of the employees and it has the link with the overall activities of the company (Shamir & Howell, 2018). By considering all the three articles it can be stated that organizational culture is one of the important factor on which focus should be given. The organizational culture impact the growth of the organization. It is necessary for the companies to emphasize on controlling the entire process of the activities so that it can be simple to accomplish the entire growth of the company. Performance of the employees is necessary to be managed so that it can be easy for the company to aim at achieving the large market share. The responsibility is of the leader to emphasize on the process of coordination so that it can be simple for the employees to focus on their entire working structure. One of the major role is related with communication which is essential to be considered so that it can be simple to accomplish the goals. Communication skills is important to be maintained so that in the workplace employees can give their best towards the entire activities of the company. So, it can be seen that the practices of the company influence the overall operation of the company and also impact which is positive can be seen on the activities of the companies activities. It has been concluded that organizational culture should be positive in the workplace so that it can be easy to manage the entire activities of the company. Culture of the company is necessary to be considered so that employees can feel motivated and happy towards the activities which are assigned to them. The culture of the company can help the employees to achieve growth in the competitive market and the responsibility to manage the culture of the workplace depends on the managers. Organizational culture is the wide concept that can be maintained by the leaders or the top management of the company. Without leaders or the managers it has been seen that company cannot achieve growth in the high level of competition. It is important for the top management to emphasize on managing the culture of the workplace so that positive results can be achieved by the company as employees make efforts to complete the activities. So, it can be said that culture of the company should be managed so that values and beliefs of the employees can be maintained with the overall culture of the company. It will also help to achieve competitive advantage that will help to grow in the high level of competition prevailing in the market. 1. Chatman, J. A., Caldwell, D. F., O'Reilly, C. A. & Doerr, B. (2014). Parsing organizational culture: How the norm for adaptability influences the relationship between culture consensus and financial accounting performance in high?technology firms. Journal of Organizational Behaviour, 35(6), 785-808. 2. Schein. E. (1984). Coming to a new awareness of organizational culture. Sloan Management Review, 25(2), 3-16. 3. Shamir, B., & Howell, J. M. (2018). Organizational and contextual influences on the emergence and effectiveness of charismatic leadership. In Leadership Now: Reflections on the Legacy of Boas Shamir (pp. 255-281). Emerald Publishing Limited. 4. Wilderom, C. P., van den Berg, P. T., & Wiersma, U. J. (2012). A longitudinal study of the effects of charismatic leadership and organizational culture on objective and perceived corporate performance. The Leadership Quarterly, 23(5), 835-848.